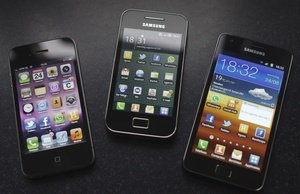 Apple has won its largest decision ever, a sweeping legal victory over rival Samsung. A U.S. jury found that Samsung had infringed on many of Apple's patents, and awarded the tech giant $1.05 billion in damages. Apple, the most profitable smartphone maker, and the second-largest, by volume, will likely use the decision to seek full injunctions on Samsung products in the U.S., including the popular Galaxy Note and Galaxy S III devices. Citing multiple sources, AllThingsD is reporting today that Apple will launch their 'iPad Mini' tablet in October, after the launch of the new iPhone in September. 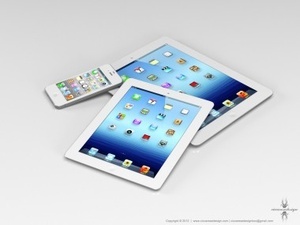 The new iPad will get its own dedicated event, and come in at the rumored size of 7.85-inches. Other rumored specs include a quad-core processor, the new dock connector, but no Retina Display. The tablet is rumored to sell for $299, above the Google Nexus 7 and Kindle Fire, but well below the base 10-inch iPad price. Ubisoft, always one to bring ridiculous figures to the table, has come out today with a number that should scare any developer looking to create a game for the PC. CEO Yves Guillemot has said today that 93-95 percent of PC games are pirated. Microsoft unveiled their new logo. They are finally bringing a new look and a considerable change to their logo after 25 years. This new logo goes along with all the new products the company has launched recently or plan to launch soon like Outlook, Windows 8, SkyDrive, Office and others. This is for the first time, Microsoft logo contains an image. Microsoft plans to bring a newness and freshness to the brand. This new logo will soon start showing up in all Microsoft products and stores. AMD has confirmed an across-the-board price cut on their Series 7 Radeon cards. The high-end HD 7950 will now cost just $319, with the HD 7950 Boost costing $349. Going down the line, the HD 7870 2GB and HD 7850 2GB are now priced at $249 and $209, respectively. The HD 7850 1GB has dropped to $189 and will also soon be bundled with Sleeping Dogs. The moves seem to be directly related to Nvidia's recent releases, which have received rave reviews from consumers and critics alike. Windows 8 to Tell MS About Everything You Install? A recent scare piece by Cryptocat developer Nadim Kobeissi over on Gizmodo alleges that Windows 8 will tell Microsoft everything the user installs into the new OS. The reveal is based on the RTM version of Windows 8 which offers a new feature called Windows SmartScreen. Link to topic: Windows 8 to Tell MS About Everything You Install?